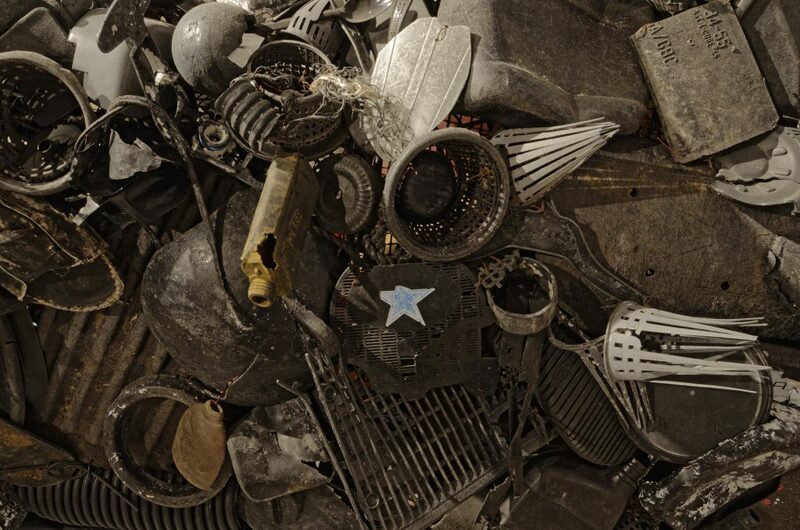 Telfair Museums presents a Contemporary Spotlight on Atlanta-based artist Pam Longobardi (American, b. 1958). This presentation of Longobardi’s work takes form in various spaces in the Jepson Center: the Neises Auditorium, the Third Floor Landing space, and the ongoing exhibition Complex Uncertainties: Artists in Postwar America. 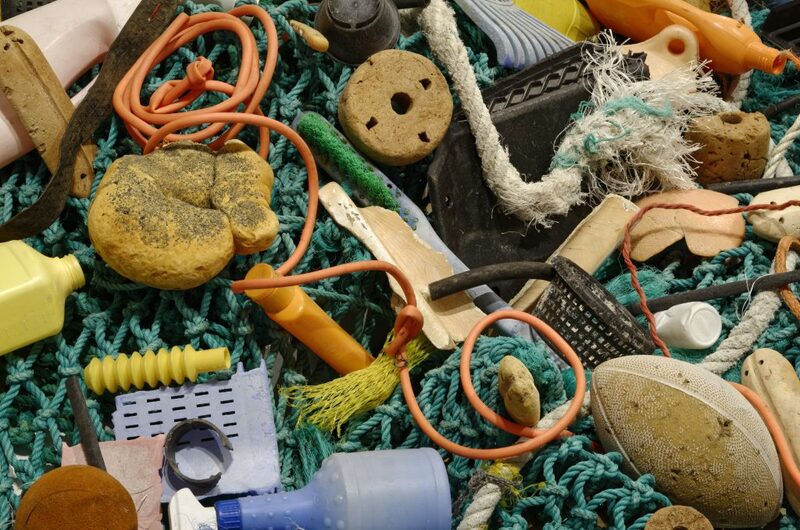 In 2006, after discovering mountainous piles of plastic debris the Pacific Ocean was depositing on the remote shores of Hawaii, Longobardi began collecting and utilizing this plastic as the primary material in her project called Drifters. 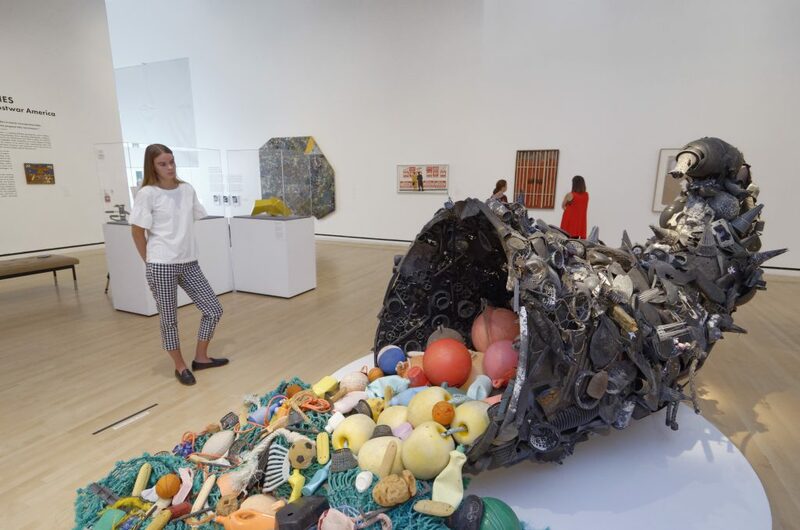 Since then, she has made scores of interventions, cleaning beaches and making collections from all over the world, removing thousands of pounds of material from the natural environment and repurposing it in her art. These collection missions are often done solo as part of her process. Longobardi approaches the sites as a forensic scientist, examining and documenting the deposition as it lay, collecting and identifying the evidence of the crime. 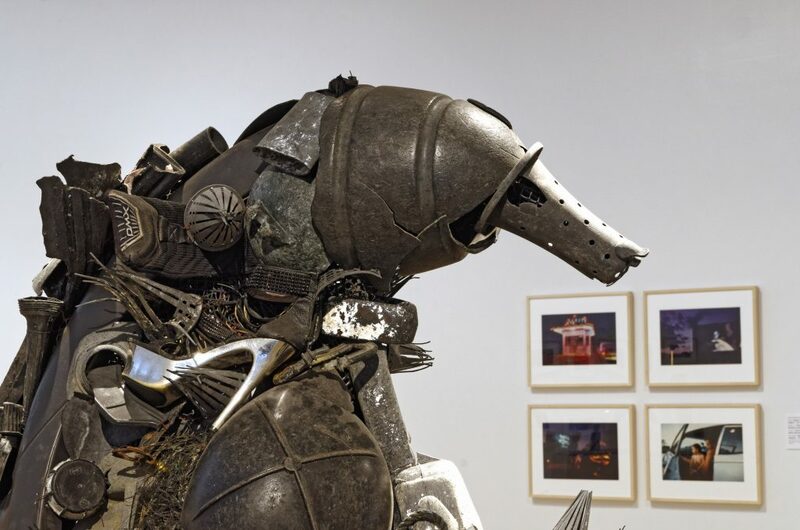 Telfair Museums’ Contemporary Spotlight series is an artist-centered exhibition platform that highlights contemporary art by nationally-emerging artists through small exhibitions and featured loans. 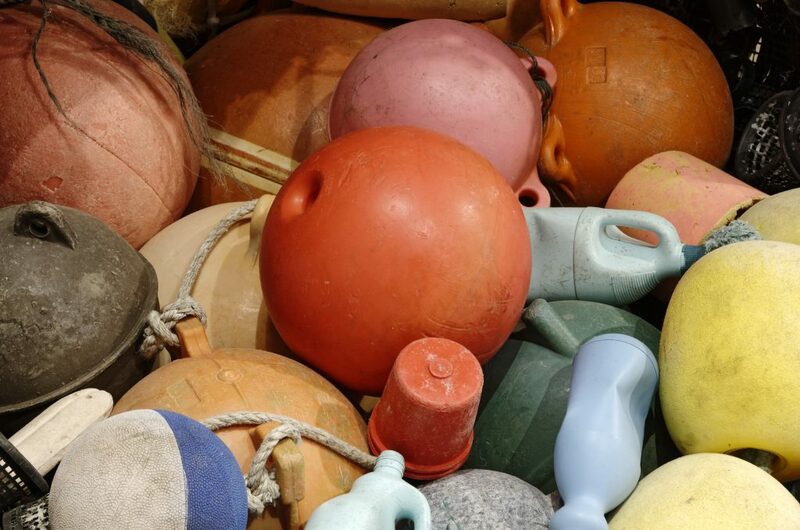 Artists are encouraged to respond to place and to reflect the issues of our time. Pam Longobardi lives and works in Atlanta, where she is Distinguished University Professor and Professor of Art at Georgia State University. 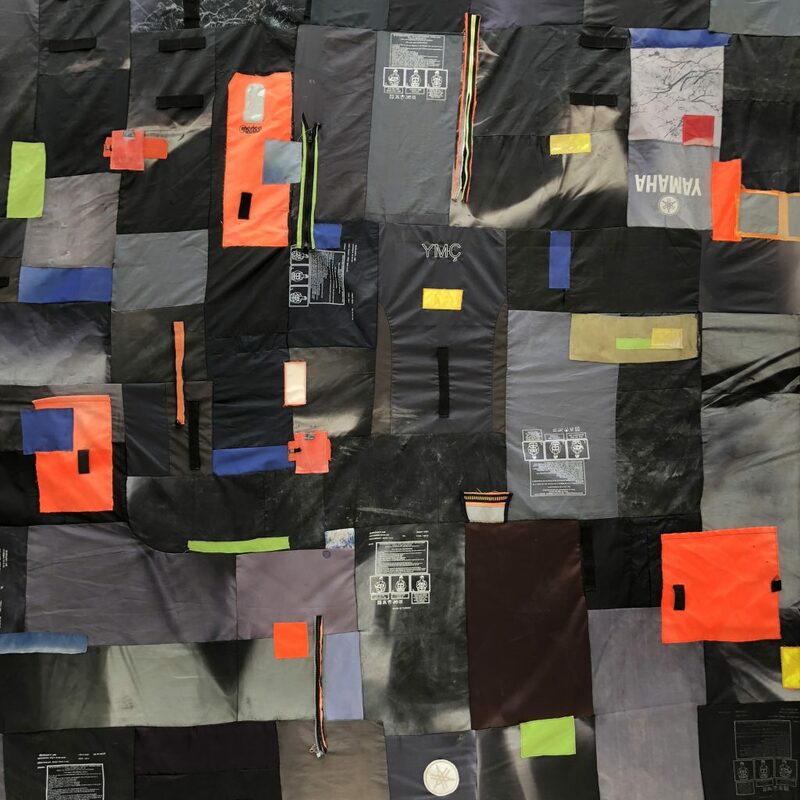 Longobardi holds a BFA from the University of Georgia (1981) and an MFA from Montana State University (1985), and she has had over 40 solo exhibitions and 65 group exhibitions in galleries and museums in the United States, China, Italy, Spain, Finland, Poland, Japan, and elsewhere since 1990. Her artworks are in numerous collections, including The High Museum of Art, Crystal Bridges Museum of American Art, commissions for Benziger Winery, the Hyatt Corporation, the Atlanta Hartsfield International Airport, Fulton County Medical Examiner’s Facility, and First Tennessee Bank, Memphis. 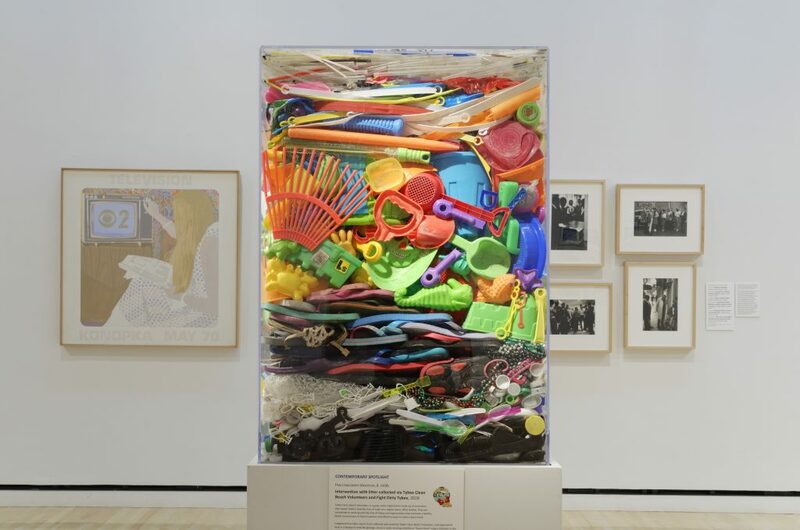 Her large installation 1614–1914 was included in the 2004 exhibition Birdspace at the New Orleans Contemporary Art Center, and it traveled for two years to the Norton Museum of Art, Hudson River Museum, and others. She received a SAF\NEA Visual Artist Fellowship in Painting, Tennessee Arts Commission Visual Arts Fellowship, and was artist in residence with the BAU Institute in Otranto, Italy, in Kasterlee, Belgium, and in Beijing at NY ARTS/Beijing during the 2008 Olympics. In 2005, Longobardi was named recipient of Georgia State University’s Outstanding Faculty Achievement Award. 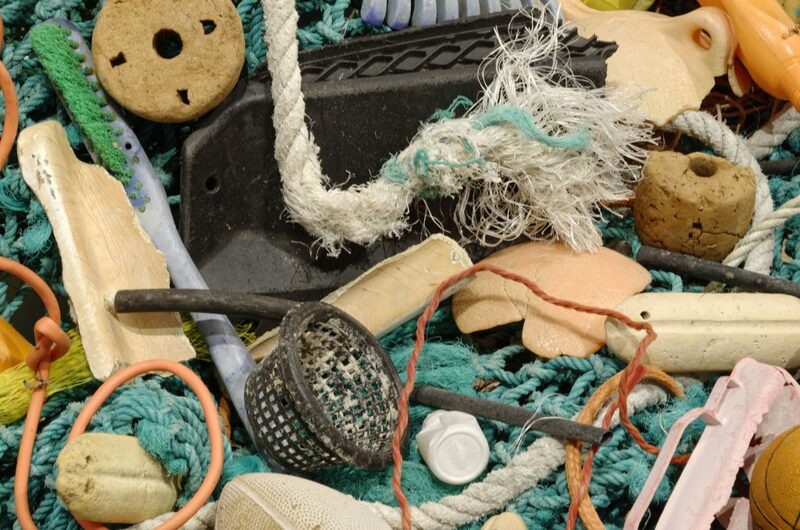 Longobardi created the Drifters Project in 2006, addressing global plastic pollution and the changing ocean, after witnessing vast amounts of plastic debris deposited on the far shores of Hawaii. Longobardi and the Drifters Project were recently featured in National Geographic, commissioned for the cover of SIERRA magazine, and she was a guest on the Weather Channel. She has an ongoing collaboration supported by the Ionion Center for Art and Culture in Metaxata, Kefalonia, Greece. 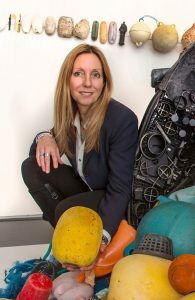 In 2014, Longobardi was awarded the title of Distinguished University Professor and has been named Oceanic Society’s Artist-In-Nature.